The folks at Cupcakeology know their way around desserts. This event is where the familiar treats take on a whole new identity. 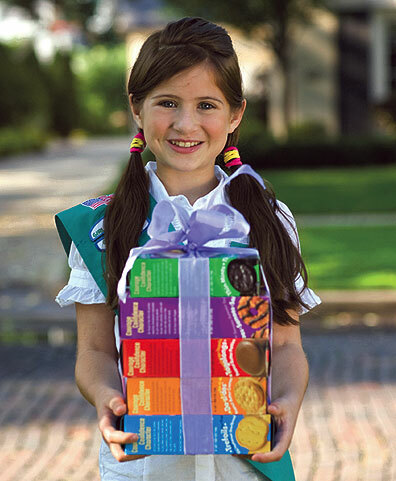 No plain Samoas here—no more Do-si-dos just out of the box. Ten of New Mexico’s most adventurous chefs will transform the crunchy treats into the main ingredient for gourmet delights. There’s no telling what these cooks will do to meet the challenge. The roster of chefs includes familiar faces. Leonard Razatos of Plaza Café Southside, Kaitlin Ojeda and Charles Dale of Encantado Resort, Frank Padilla of the Santa Fe Country Club, Patrick Gharrity of La Casa Sena, and Leonard of Garbo’s at RainbowVision. Fred Gallegos will represent Scalo. Pam and Laurie English will apply their Cupcakeology expertise. Stone Kiva’s Mary June Arquero, Elizabeth of Napoli Coffee, and Savory Fare’s Jeff Rubin will all be up to their elbows for the occasion. We hope their fans will be there to cheer them on and taste one-of-a-kind desserts that may never happen again. A Janet Williams carved cookie jar will grace the silent auction. In order to keep the cookies contained, a host of artisans have donated handcrafted cookie jars for a silent auction. Look for works by Janet Williams, Tony Butler, Stephanie and Rita Ryan, Thelma Hand, and many more. Think how pleasant it will be to open them again—and again. Myles Copeland of Big I 107.9 is acting as emcee for the evening’s entertainment and auction. In addition to sampling the raft of desserts, guests will enjoy hors d’oeuvres prepared by Encantado chef Charles Dale. Did you know there’s a GSA recipe for Do-si-do peanut Thai chicken? I didn’t either: gscnc.org/cookies_for_fun.html. Now get your tickets to see what happens to the cookies in the hands of New Mexico’s professional chefs. Friday, March 11, 6:30 to 9 p.m.